Coriander is one of those controversial herbs that people either love or hate. The most frequent complaint I hear is from people who say it tastes like soap. The irony is that it’s often the people who hated it the most that end up loving it the most over time, myself included. It’s an acquired taste, if ever there was one. Despite the fact that it can take some getting used to, coriander has been cultivated for at least 4000 years by humans. With a native habitat that spans from Southeast Asia to Southern Europe, it’s hard to say who started using it in food first, but the whole plant, from the roots to leaves to seeds is edible, each part with it’s own unique flavor. Because it’s used heavily in Mexican cuisine, the fresh leaves are sold by its Spanish name cilantro, in the US. The dried seeds on the other hand are almost always labeled “coriander,” and have a different taste from the fresh leaves. It’s a primary ingredient in many curry powders, so it may smell familiar to you, even if you’ve never used it before. I haven’t always loved coriander, but it’s now probably my favorite herb and I use it in everything from pasta to poached salmon. 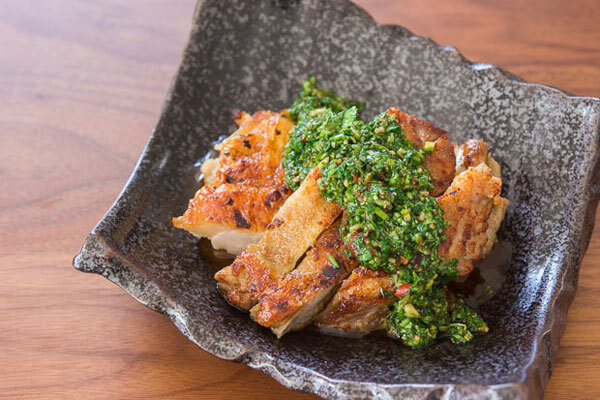 For this chicken dish, I decided to give it a double hit of coriander, dusting the chicken with ground seeds, before pan frying the thighs until the skin is crispy. 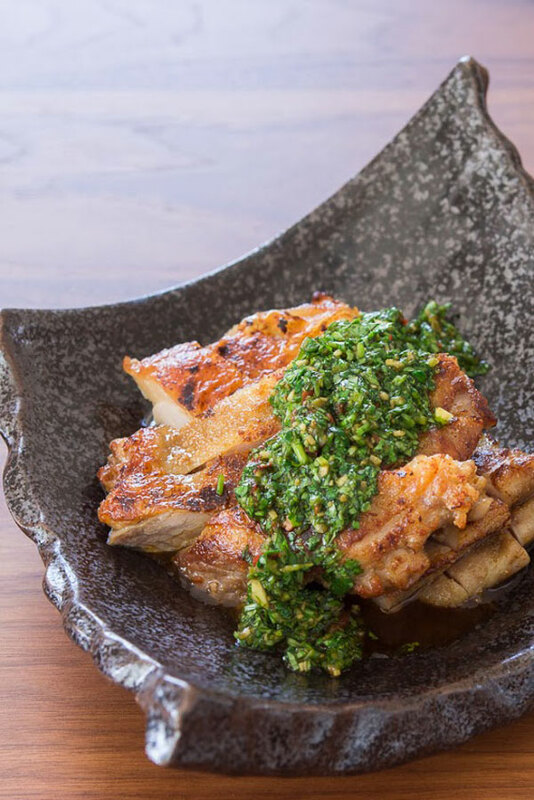 The succulent thighs are then topped with a spicy cilantro and ginger sauce that strikes a vibrant contrast with the crisp golden chicken. 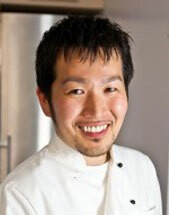 In a small bowl, combine the ground coriander seed, salt and white pepper. Smear the grated garlic all over the chicken and then sprinkle the coriander mix onto the chicken. 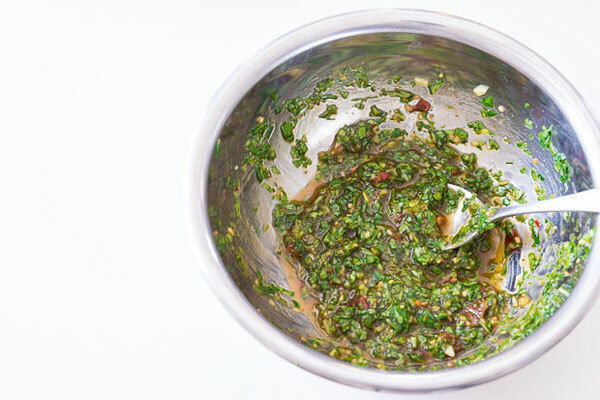 To prepare the sauce, add the cilantro, ginger, garlic, doubanjiang, sesame oil, vegetable oil, and salt to a small bowl and stir to combine. 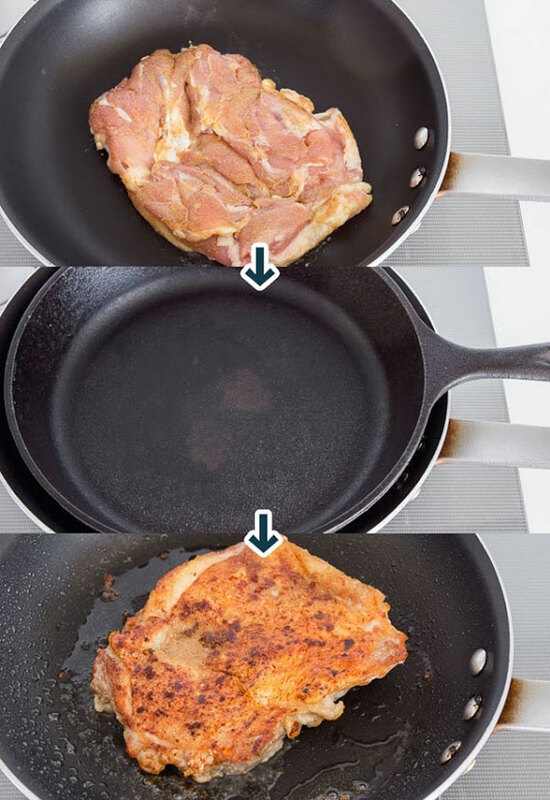 Place the chicken skin-side down in a non-stick pan and put a heavy pan on top of the chicken to press it down (cast iron skillets work great). Turn the heat on to medium and let the chicken cook until the skin is browned and crisp (about 4-5 minutes). Flip the chicken and fry until the chicken is cooked through (another 2-3 minutes). Slice the chicken and drizzle the sauce on top. Serve immediately.